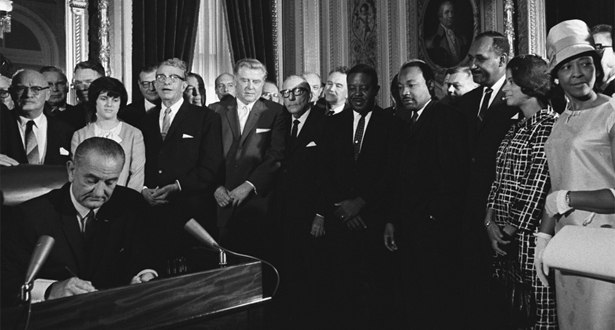 Lake County has not been this outraged since Lyndon Johnson signed the Voting Rights Act of 1965. That was back in the day when Washington did not like the way that some States went about conducting their elections. Entire swaths of the electorate had been disenfranchised, and the Federal Government deemed it necessary to send in the Feds to school their local election boards on the right way to hold an election. Well, in Lake County it's back to the future as another voting rights bill, now working its way through Springfield, will create an independent election board here. Lake County's Republicans are deservedly outraged -- just like their Southern Democrat counterparts were some 50 years ago. "It's a power grab to take over election authority in Lake County"
"Lake County and the leaders are adamantly opposed to this"
Preparations are already underway in anticipation of this new voting rights bill becoming Illinois law. According to anonymous misinformed sources, county officials are engaged in high-level negotiations with representatives from Wisconsin, as outraged voters brace themselves for Lake County's inevitable secession from the State of Illinois. One source, giddy with excitement, told your LakeCountyEye that when it comes to voter suppression "they take no prisoners up there in Wisconsin." Appears only one party is complaining. That in itself should tell you something. Power to the people and not a partisan controlled county official. Sorry anonymous, local Democrats also voted against this measure. It has bi-partisan revulsion.